Yesterday I had the opportunity to hear Piyush Patel speak at a leadership luncheon at Oklahoma State University. What a story! The quick sum up is this – he graduated from the College of Education at OSU as a teacher, taught in a small college, founded a company for under $60 and later sold it for $45 million. He looks for opportunities to give back everywhere he can and has some great ideas that will be coming to fruition in the near future. What he shared really got me thinking on several different levels. What if we started using BAM? BAM: Belonging Affirmation Meaning. 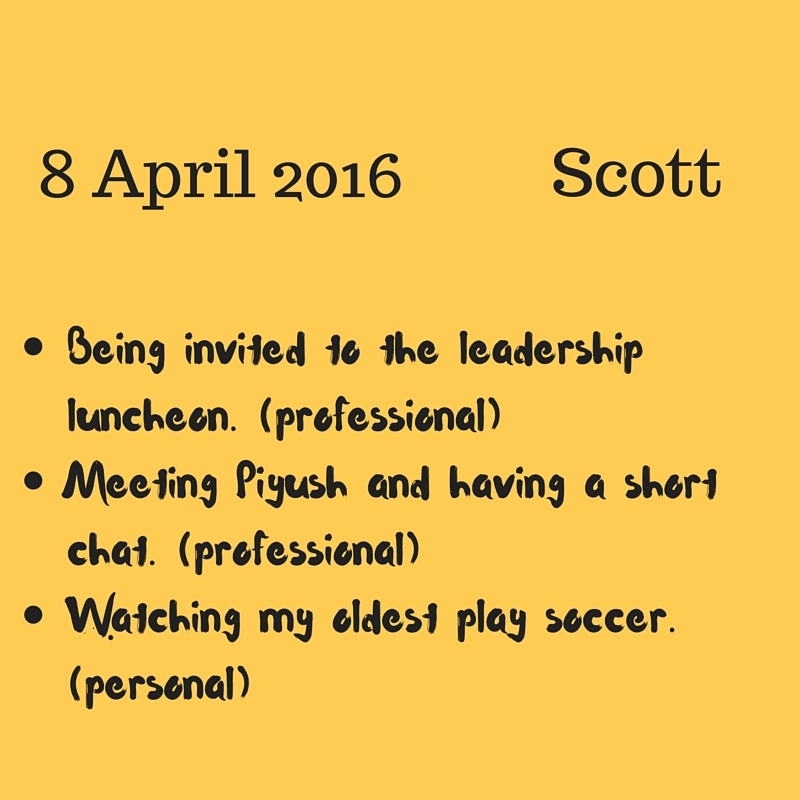 Piyush shared that this is what he strives for in his company – that every person who works for him feels belonging, affirmation, and meaning. Imagine a classroom where every single student can have this same experience. Where the teacher practices these habits. Where a student knows what they are doing has meaning. Where students feel like they belong. Where students can find affirmation. This can sometimes be difficult to accomplish – students come in all shapes and sizes. Some are hard to reach, some are quiet, some defiant, some are go getters….How do we reach them all everyday in a way that can help them feel affirmation, belonging, and meaning? What about the teachers in your building? Does the administration help the staff feel these same things? Imagine if you could enter your school every single day knowing that you belonged, that you would feel affirmation, and that what you do has meaning. Would this make a difference in your classroom? Would this make a difference in your personal life? List one thing that made you happy in your personal life. Now do this every single day. In a new group of people who Piyush had never interacted with before, we completed this task in less than six minutes. If this was something that we did daily, it would be even less. Administrators have your teachers post them on the walls outside of the classroom for quick pick up. Teachers collect them from your students desks. Administrators, post them up in the teachers lounge and have a look, perhaps you will gain some insight with some of your staff. Teachers, place them in a special place each day and celebrate the happy things that are happening in the lives of your students, you will learn amazing things. Change it up a little as you need to, some ideas: one thing you are excited to do today, one thing you are excited to complete today, something you are thankful for…these are just a few! 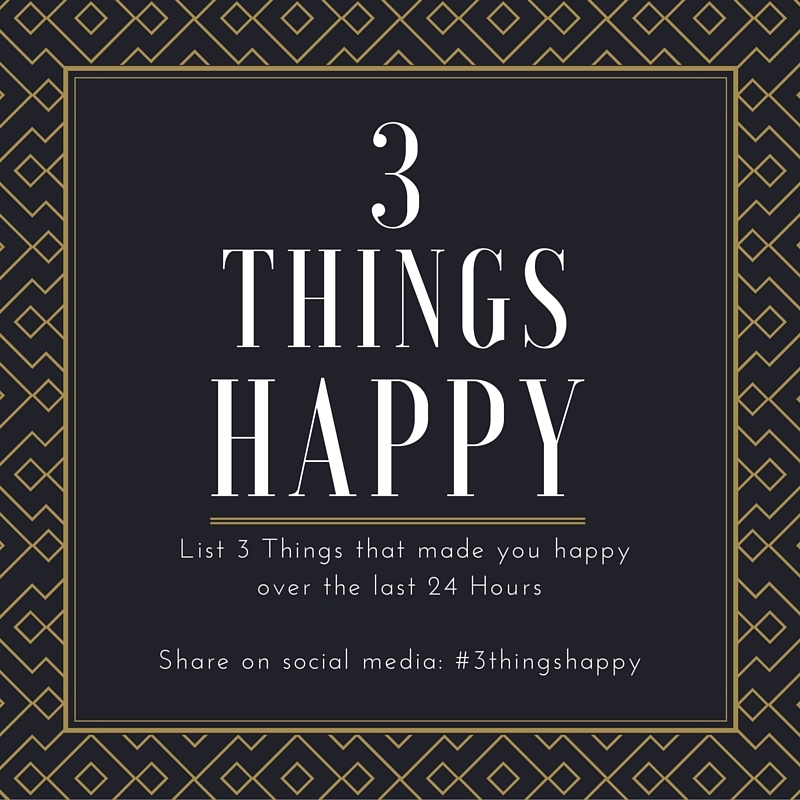 Here is a challenge for you – share on Twitter or Facebook with the hashtag #3thingshappy. Try and do this everyday for the next month. Get together with some friends and form a little circle of happiness. Change the culture in your classroom, your life, your building. Simple and easy.